WARNING Objects in this post may seem more confusing than they really are. This post is not to teach you everything you ever wanted to know about a SERT. Instead it is to give you some insight into what a SERT is and what to expect. The SERT version used is 4.12. If you have specific question about the SERT, I would suggest you download the PDF file at the end of the post, it is the SERT manual. This is my take on the cost. You pay a little more for the EFI bikes. Then you buy the SERT. If you bought a bike with a carb and wanted to do performance mods, most likely you would be buying a new carb to the tune of about $400. You would also need a new ignition module, another $200. If you didnâ€™t like the results or achieved unexpected results and wanted to try something different, mo money, mo money, mo money. With the SERT if you donâ€™t like the results, you just upload another MAP. The SERT is a program that you load onto a desktop or laptop computer. It allows you to modify all aspects of the fuel and ignition control module called an ECM. A nice part of the SERT is that you can play with the MAPâ€™s anywhere. If you have it loaded on your laptop and you are at work bored for instance you could mess around with a MAP and save it for later. Another bonus with the SERT is how easy it is to load a MAP. You simply plug the computer into your bike and upload it. It is very fast and easy. I can upload a new map quicker than you can get the air cleaner off a carb, let alone remove the float bowl and the jets. There are some issues with using a SERT. The first one is getting your SERT to communicate with the bike. The first time I used one it would not work with the ECM. It gave an error trying to read the VIN number of the bike. If you have this issue you need to take the bike to a dealer and have them reload your VIN number into the ECM. Convincing the dealership mechanics that this is all you need, will be the next problem. This problem seems to be in the earlier model Delphi ECMâ€™s, 01-03. In this thread we will be using the word MAP and it will refer to two completely different things. The first meaning of MAP as used up to this point is like a road map. Depending on where certain conditions are met, it tells the ECM what to do or where to go like a road map. The second MAP stands for Manifold Absolute Pressure. Try not to get too confused between the two. (note one sentence using to, too and two). After you install the SERT and the user manual, you will have 2 PDF files on your desktop. One is called â€œRace Tuner Calsâ€� and contains some basic engine setups. Choose the one that most closely matches your build. This is your BASE MAP. 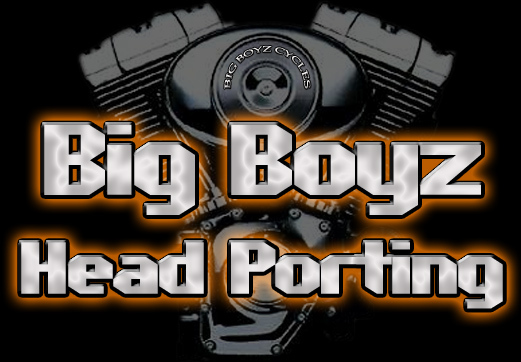 When using Big Boyz Street Heads, we recommend selecting a setup that uses SE Performance heads in the configuration. Here is an example of what the chart looks like. After selecting the base MAP for your build and opening it, you will see a screen like the following picture. The base MAP opens in â€œBasicâ€� mode. In Basic mode all the numbers on the MAP chart are 0. The zero represents the default setting and then can be changed by PERCENT. I personally donâ€™t like this mode. In this mode you now see the Air/Fuel ratio numbers instead of the percentage change numbers. Note the RED blocks, RED indicates HIGH limit reached and can not be adjusted higher. 4)	Purple indicates SELECTED area. More than 1 block can be selected and changed at a time. 5)	Indicates the amount of units changed when modifying the selected area. In this screen you can see that you can select the amount of enrichment based on engine temp. 11)	Adds fuel if the bike is too hot, this can help cool the engine down. In the SERT manual (PDF file attached at end of post) they have easy to understand descriptions of all the tables and the adjustments. Following picture is an example that goes with the above â€œWarmup Enrichmentâ€� table. Again you can see that the table is based on Engine Temp. By now you should be able to look at the next picture and without any additional information have a pretty good idea what it is all about. This next screen, again selected using â€œTable Selectionâ€�, sets up your ECM Constants. 18)	Knock control, which can be used in tuning the engine. You turn it off so that it doesnâ€™t change any setting to compensate for knock. To go back to Basic mode. Because we are in Basic mode you adjust the degrees from a BASELINE. If you go to â€œAdvanced Modeâ€� you will see that you have 2 tables, one for each cylinder. And in advanced mode the table is displayed in degrees of timing and not from a Baseline. I find it easier to adjust the â€œMain Spark Tableâ€� in â€œBasic Modeâ€� but for even greater flexibility use â€œAdvanced Modeâ€�. To program the ECM you must first select a COM port that you will use to communicate with the bike on. It will show the COM port selected. In this screen shot you can see that the Help section is VERY GOOD. And it covers many topics. DONâ€™T BE AFRAID TO USE THE HELP !!! On most if not all the tables, you can use the â€œShow graphâ€� button and it will generate a graph so you can visualize the changes. In the example below, I am in the Air/Fuel Ratio table. Some of the charts are presented in 2D and others in 3D. Section â€œAâ€� shows the RPM. The Black circled section shows the AFR for the corresponding MAP of 30 kPa. The 3D graph should be somewhat â€œflowingâ€�, if in the middle of the red section you had one spot that was blue, it would indicate at a glance that a number might be typed in wrong. A part of the SERT that I didnâ€™t go into is the Data Recorder. The SERT has the ability to monitor and record whatâ€™s happening while the engine is running. You can use the data recorder to help with tuning the bike. I have never used it but it is my understanding that you need to hook a laptop up to the bike and drive around with the laptop recording the data. Typically you here people say that you need a laptop to use the SERT. Actually you only need a laptop to use the Data Recording part of the SERT. All the programming and adjustments can be made on the average hope desktop computer. Of course tuning your bike for maximum performance and using a Dyno to see the immediate results in the changes you made can make it easier. With the use of the Data Mode and the ease of uploading a MAP the average mechanically inclined tinkerer can make changes and if it doesnâ€™t do what is expected they can go back in mere moments. If you create a new MAP, SAVE IT !!!! There is no limit to how many maps you can save. If you donâ€™t save it you may not know what you did. There is also a table comparison section that I didnâ€™t go into but it allows you to see the changes you made from the original MAP.